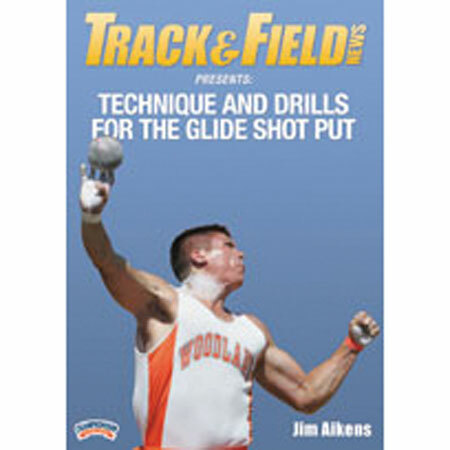 Coach Jim Aikens brings you the most complete guide imaginable for teaching and coaching the glide shot put. Aikens begins with a general discussion of the skills that build a solid foundation for understanding of the objectives and the challenges of the glide technique. He includes key coaching points to assist you in glide instruction. Aikens shows a six-exercise "thrower specific" stretching routine before moving into Shot Put Specific Techniques that includes detailed breakdowns in each area of the throw. Aiken's technique instruction begins with body position and proper grip of the shot that includes wide grip and power grip breakdowns. He provides a drill to help throwers determine the most powerful foot. Aikens takes you through a "whole body throw" drill progression. This progression begins with perfecting a proper throw and flick release from the front of the ring and then, in sequence, moves to the back of the ring. Aikens teaches the two styles of glide technique: the rotate & lift (long short) and lift & rotate (short long) with tips to determine the best style for each athlete. Aikens comprehensively details each style step-by-step from start to finish. Every phase of each style includes detailed explanation and teaching with justification for all technical aspects. Demonstrations are clear and precise and shown from key angles that afford the coach more visual cues to look with their throwers. Aikens dips into his library of glide drills yo give you 15 additional drills to enhance glide success. In his final segment, Problems, Causes, and Solutions, Aikens identifies eight common problem areas in the glide and for each, shares the cause of the problem along with a solution. 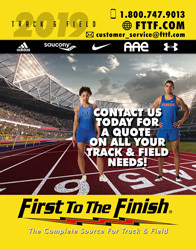 Without a doubt, this is the most comprehensive guide to teaching and coaching the Glide Shot Put that is available anywhere.